Finding men’s women’s addiction rehab programs is easy enough, but it is much harder to know whether those programs are suitable. Rather than focusing on gender, consider the quality of the facility, the range of program types and the plans for recovery. Some men’s and women’s addiction rehab programs push patients into one of two programs with little room for customization. Just like no two women are the same, no two patients have the same history of addiction. That’s why it is so crucial for individuals to have access to a custom approach to recovery. At Steps to Recovery, there are many ways that individuals can get the help they need. For some patients, outpatient care might be ideal. For others, detox followed by inpatient care is a necessity. Ultimately, every patient can get the resources, education, medical care and support that they deserve. 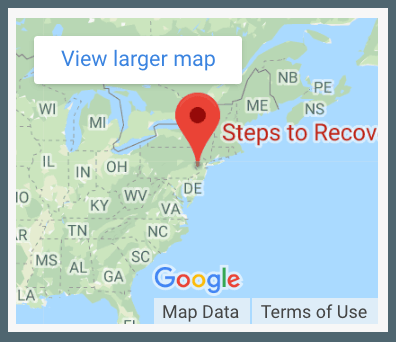 There is not just one set route to recovery. Men’s and women’s addiction rehab programs can come in all varieties to best accommodate the needs of patients. One option is partial hospitalization, which can offer a lot of support and medical attention. Some patients, however, may prefer to enroll in an outpatient program. We also offer intensive outpatient programs that are designed to accommodate even the busiest of schedules. Finally, both men and women can appreciate sober living options. This is a great transitional phase between consistent addiction support and an independent lifestyle. It also facilitates the re-entry into everyday life, work and social obligations. Treating an addiction is about so much more than just becoming sober. True wellness isn’t just the absence of disease. It is also the presence of health. That means physical, mental, emotional and psychological health. A rehab program should fit the individual, not the gender. At Steps to Recovery in Levittown, Pennsylvania, every patient is viewed as unique and deserving of a comprehensive treatment plan. If you or a loved one is ready to combat addiction, then contact us today at 866-488-8684. What is Women’s Alcohol Rehab? What Is Men’s Alcohol Rehab?